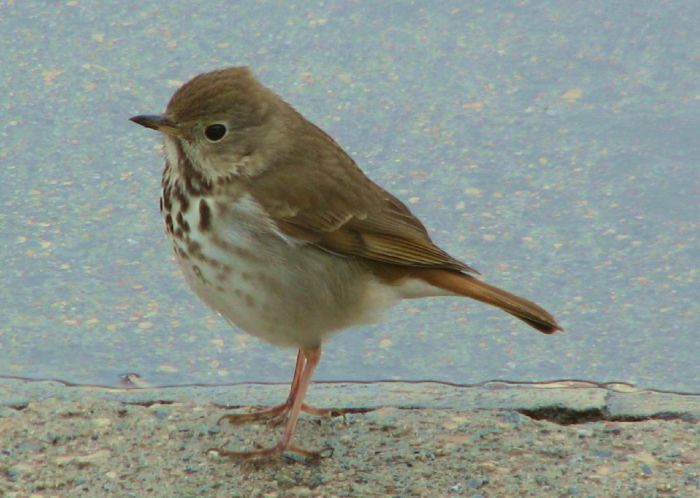 This thrush was identified as a Hermit Thrush based on song, tail much redder than rest of plumage, and the behavior of slowly raising its tail and then lowering it. Possibly a first summer record for North Dakota. Taken: 2008-07-26 Pembina County. Image by Dave Lambeth. Taken in the wake of a 9-inch late April snowfall. I think this species may sometimes be mistaken for Swainson's thrush. But hermit's tail is always red and its eyering is always white, never buffy as in Swainson's. 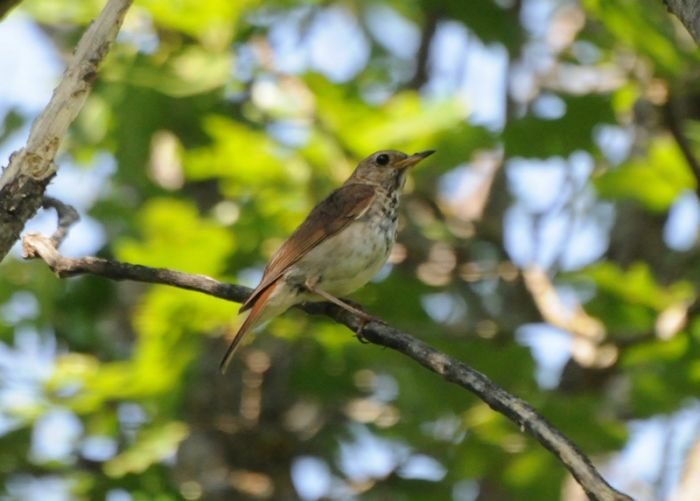 Get a good look at thrushes. Taken: 2008-04-26 Photo by Keith Corliss in his driveway of West Fargo.